Keep cozy with carbs… I mean pasta! The next few days are going to be chilly, unlike the past couple of AMAZING weeks. My suggestion for keeping warm? 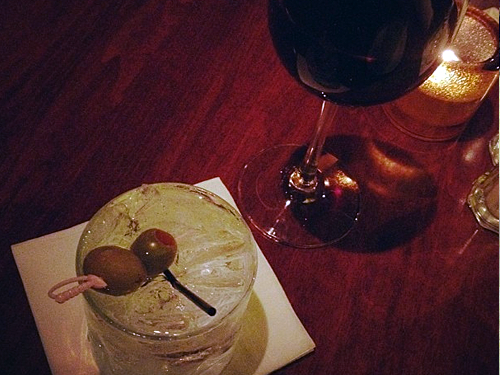 A dinner with your best friend and a cocktail or two to start the night off right. 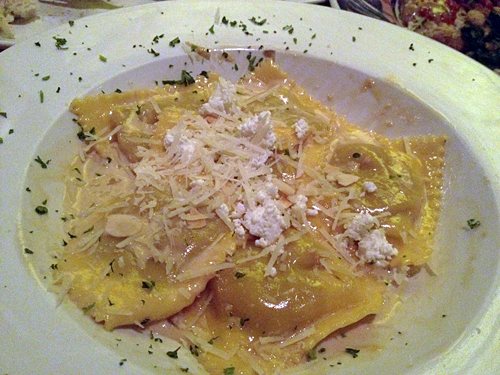 I chose Butternut Squash Ravioli which was the perfect bit of warm and savory goodness needed on that brisk evening. 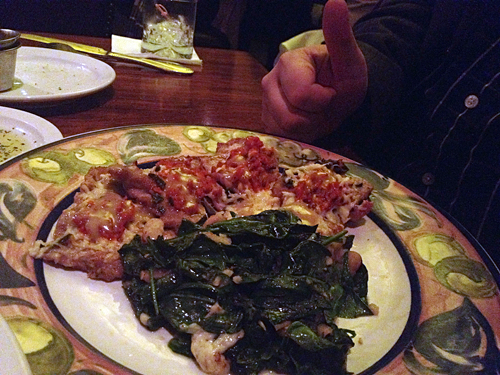 A spinach salad — that wasn’t disgustingly sweet (sadly too common) — was a great way to begin dinner. This locally-owned Toledo gem deserves your support… as does your tummy! Warm and delicious. Pro-tip: make a reservation on weekend nights.